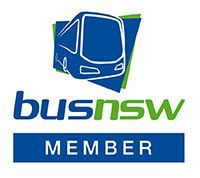 Cowra Bus Services Pty Ltd was established in 2001 taking over the business of Thomas Bus Service which has been operating for over 50 years. The Company operates a fleet of school buses and charter buses. All bus services operate Hail & Ride. Please stand in a safe place for the bus to stop and signal the driver as the bus approaches. To exit the bus please tell the driver when you board where you would like to alight, and the driver will stop as close as possible to your desired location. If you require the wheel chair lift, please contact us prior to travel on 63421021 so that we are prepared to assist you with travel. Route 541 – West Cowra Loop – Servicing West Cowra, Cowra Golf Club, Visitors Centre, POW Theatre and Rose Gardens. Route 545 – Mulyan and North Cowra Loop – Servicing Mulyan, North Cowra, Bilyara Retirement Village, Holman Place Primary and Mulyan Primary. 1. Using the route map provided find the two timing points you are located between. 2. Locate these two timing points on the timetable. 3. Your bus is scheduled to arrive between the times shown for these points. For example, if your bus stop is situated between timing points and on the map, then the bus is scheduled to arrive between the time listed for and the time listed for . Buses that operate on special routes to and from schools are not shown in this timetable. Students are required to show bus passes whenever boarding the bus, to and from school. If they do not have a bus pass they may apply for a bus grid or pay the fare required to ride. If you child loses their pass, a replacement form will need to be completed and a fee of $11.00, is to be paid before a new pass will be printed. Concession cards must be produced for concession discounts or free travel each time a ticket is purchased. Passengers 16 years and over are required to pay full fare unless travelling to and from school, or upon presenting a valid school pass or other valid ID. Tickets are issued for all fares paid. Please retain tickets until the end of the trip to avoid being asked to pay another fare by an inspector. Where possible tender the correct fare.